Most designers do have a contract in place, but it's usually either an unprofessional contract they wrote themselves, a contract they created from bits and pieces of other designers contracts, or a template they found on Google. Do any of those scenarios sound familiar? 1. You know and trust the person who created the template. 2. Your contract covers all common concerns faced specifically by designers. 3. Your contract will protect you in court. 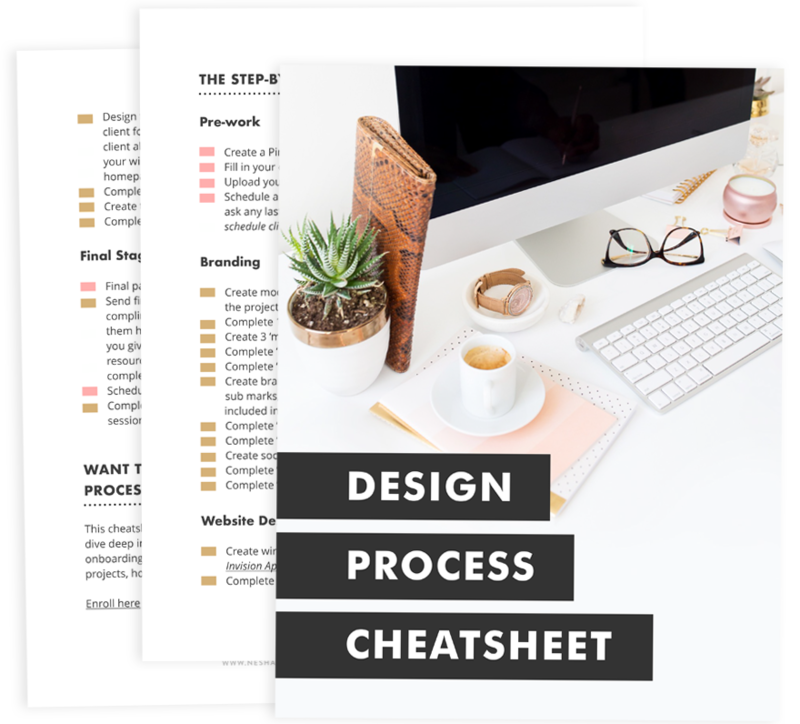 In today's 1-hour masterclass, Annette is going to teach you how to create an ironclad contract for your design business! One very effective way to make sure your clients stick to project deadlines, hand in homework on time and give you their feedback on time is including a clause in your contract that outlines all your deadlines, how long your client has to provide you with XYZ, and what will happen if the project goes over the deadline due to your client's lateness. Surprisingly, many designers don't think this can be included in their contract but it absolutely can. Late files and feedback are one of the biggest problems graphic designers struggle with. The first step to stopping the problem is being specific in your contract about what will happen if your client keeps delaying the project. If late files and feedback are a designers no.1 struggle then I'm pretty sure getting paid on time comes in second. There's nothing more frustrating than a client running away with the money they owe you, or telling you 'they'll pay you next week' but never coming through on their promise. Obviously there are things you can do to prevent this from happening, like making sure you don't hand over their final files until the client has made their final payment. But just in case payment does become an issue, your contract should cover what will happen. Picture this: Your client asks you to add something extra to their project but they don't want to pay extra for it. You're feeling generous and you don't want to disappoint them so you agree to do the extra work for free. But then they want another extra, and another, and another. It's called Scope Creep. It usually happens because you don't feel like you can say no to the client, or you don't want to sound unreasonable or greedy. But if your contract outlines the process for adding extra work to the scope of the project and tells the client they have to pay for it, you don't have to feel bad about saying no to doing it for free. You just have to point them towards your contract and remind them of what it says. Have you ever wondered who owns the copyrights to your final designs? How about the mockups you made that your client rejected? Who owns the copyrights to those? If you don't establish your right to copyrights in your contract, you could find your client using one of the drafts they turned down. That's not very good if you went on to use that mockup in a different project. Make sure your deal with copyrights in your contract to avoid difficult situations like these altogether. Save yourself the stress of creating a contract from scratch and use Annette's contract for web, graphic & print designers! *Any link with an * next to it is an affiliate link. Disclaimer: I am not legally trained and I am not qualified to give you legal advice. The information in this article is not a substitute for working with a trained lawyer or professional.